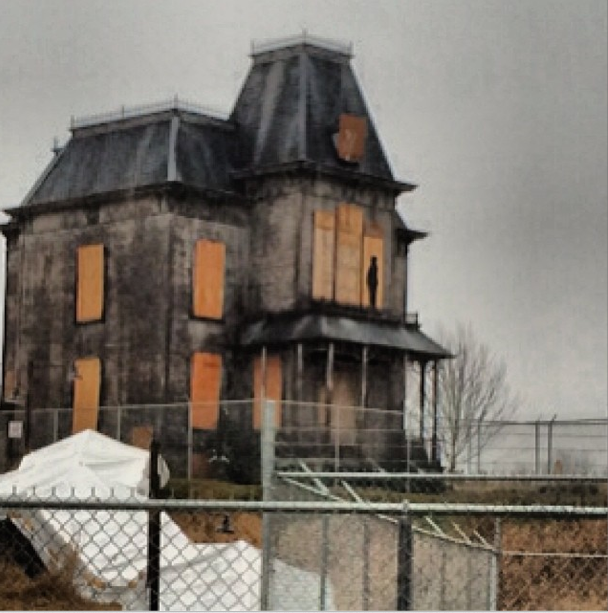 When A&E first put the Bates Motel set together, the Psycho House didn’t have a roof. 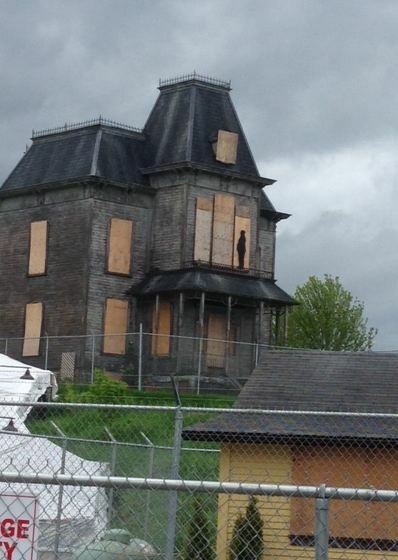 They added the roof in June 2013 for the second season of Bates Motel. My favorite photos of the film set are from night shoots like this one. And I absolutely love the homage to Hitchcock that’s in the window of the Psycho House right now. 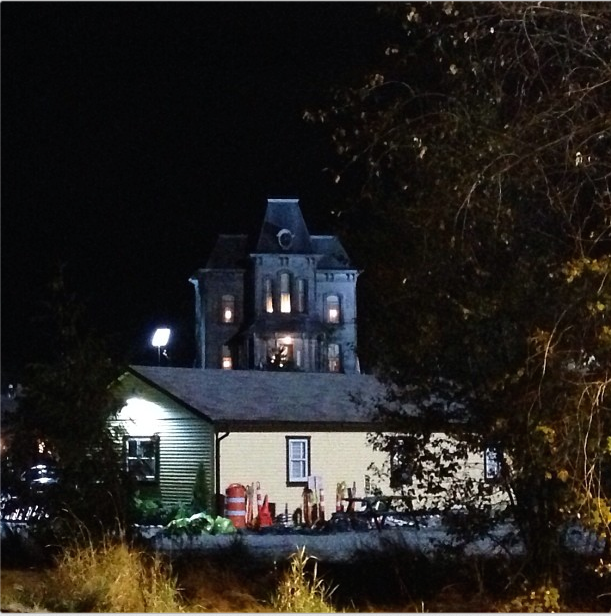 As of today it’s all closed up and waiting for Season 3 to start shooting, but here’s an Instagram video of #BatesMotel I shot last summer before they opened it back up again. It didn’t have the roof then. They’ve added higher fences around the property now, and if anyone gets any ideas the security guard will come out. 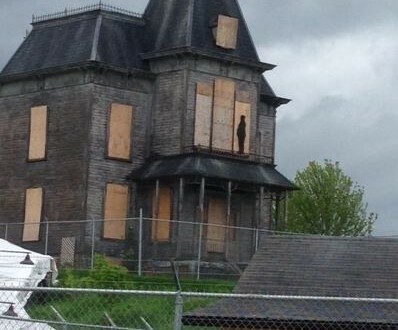 I’ve heard rumors they’ll be back for Season 3 this July, so check back for more photos of the Bates Motel filming set then. It must be all still there, just closed up? I’d love to drive by there and take some selfies. Last I checked about a week ago, everything is still there. The gates were down and they looked like they were ready to start filming. Is this house still up for people to see or if anything is there anymore? No, they tore it down about a year ago and they’ve replaced it with a park. You can see where it was and where the steps were, but that’s it.